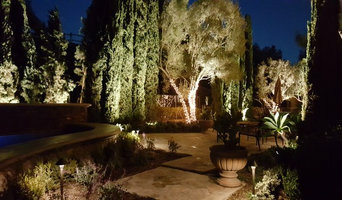 Outdoor lighting professionals. 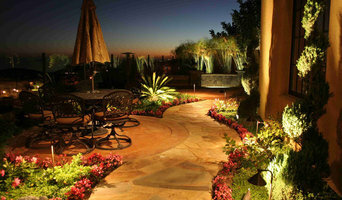 We design & install beautiful landscape lighting for your home or business; providing elegance, safety and security. Infinite Technologies is a Professional Network & Entertainment Technologies Company. It is a subsidiary of All Merchant Services Group, Inc. and is the hub company for: Infinite Satellite & Cable, (Satellite & Cable Television & Internet Product Solutions. Through the utilization of Directv, Dish, Cox, Spectrum, AT&T, Exede, ZTelco Broadband.) Residential, Business & Industrial. Infinite Audio Video, (High End Audio & Video Solutions. Custom Television, Sound Systems, Home Theatre, Internet Network & Wifi System Installation.) Residential, Business & Industrial. Infinite Cable & Prewire, (Custom Installation, Organization and Removal of all Cable & Wire Systems.) Residential, Business & Industrial. Infinite RV & Marine. (Installation, Maintenance and Modernization of Video and Audio Systems for Recreational Vehicles. Directv & Dish Mobile Satellite Antenna Systems) Residential, Business & Industrial. Visit www.infinitetechnologies.net or call 760-798-3939 for more information. What services do Newport Beach outdoor audio and visual system professionals provide? Home theaters are moving outdoors, too. Sports fans can grill without missing the game, and families can invite neighborhood friends over for movie nights. Special weatherized flat-screen TVs are coated to minimize glare. Imagine your Newport Beach, CA backyard with a custom-designed outdoor theater system — complete with a large projection screen. It makes backyard entertaining easy. Find outdoor audio and visual system professionals on Houzz. 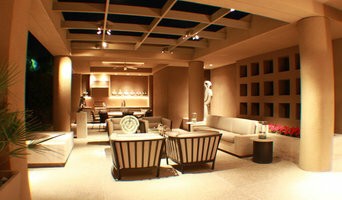 Look in Houzz’s Professionals section to find Newport Beach, CA outdoor audio and visual system experts. Narrow your search to the nearest city or metro area for a list of nearby businesses. Get contact information, read reviews and look at completed California custom outdoor sound system projects.